Hello! 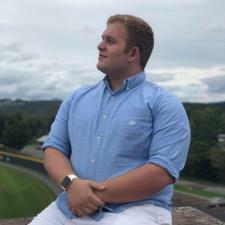 My name is Bobby, and I'm currently studying to become a Broadcast Meteorologist at Northern Vermont University-Lyndon along with a math minor. In my years of taking countless math courses that has continued in college, I've understood that there's so much more to a good grade than what you may go over in the classroom. What students do at home and the work they put in outside of that setting can turn that B to an A, and a moderate understanding to confidence that cannot be matched by any other! My tutoring experience began 5 years ago in my 8th grade year. This was when I began to realize how I can use my ability to work with numbers to help my peers better understand the material. Ever since, I have been working with fellow students in my classes and those younger who are taking math courses which I have already completed. I have direct experience from PreAlgebra all through Calculus 2, which I tutor currently at school. My favorite part of these last 5 years have been the success achieved by those I've assisted. Seeing the smiles after the A's on quizzes and exams make the hours of hard work worth it for both the tutor and tutee. While I have experience tutoring students of all ages, my work with kids and work in a social environment spread further than that! Being a camp counselor has tested my patience over the years and you can't assist a student with no patience! I believe that part of tutoring is being able to understand the difficulties a student may be having. Between the struggles I had and those others have had, there's nothing I haven't seen and can't help those overcome! Math is incorporated into most majors in college and some might not even know! Being able to excel at such a problematic subject puts the student at such an advantage as they get older and they enter the upper level math courses. My goals aren't for myself, but the students I assist and I hope for them to be 100% satisfied with their experiences. I am easily reachable and will do my absolute best to respond as soon as I can. Feel free to contact me if you have any questions or to schedule a meeting! Rate details: For consistently scheduled lessons or multiple hour lessons, the rate can be adjusted. With music being a passion, I decided to join the band in my seventh grade year. In my educational setting I proved my abilities while playing with over 75 of my peers in my high school concert and marching band, which competes on the national level. I have consistently been first chair in my respective sections, and was also section leader for the low brass my junior and senior years.